You have to hand it to Novation-- after sitting out of the analog crowd for the past few years since retiring the Bass Station, they've come roaring back with perhaps the best deal in analog synthesis. The Bass Station II is an analog monosynth with two oscillators (DCO), a sub oscillator, ring modulator, a noise generator, two filters (Acid and Classic types), two envelopes, two LFOs, distortion send, and filter FM. To top it off, it's also got a built in sequencer. The street price is $499. This is an INCREDIBLE feature set for a synth of this price. The original Bass Station hovers right around this price on eBay, but this should easily blow those out of the water, considering the original had issues with its construction, and the BS2 boasts more features. While the DCO's would be considered inferior to the VCO's of the Minibrute and MS-20 mini, 3 oscillators helps make up for that shortcoming. 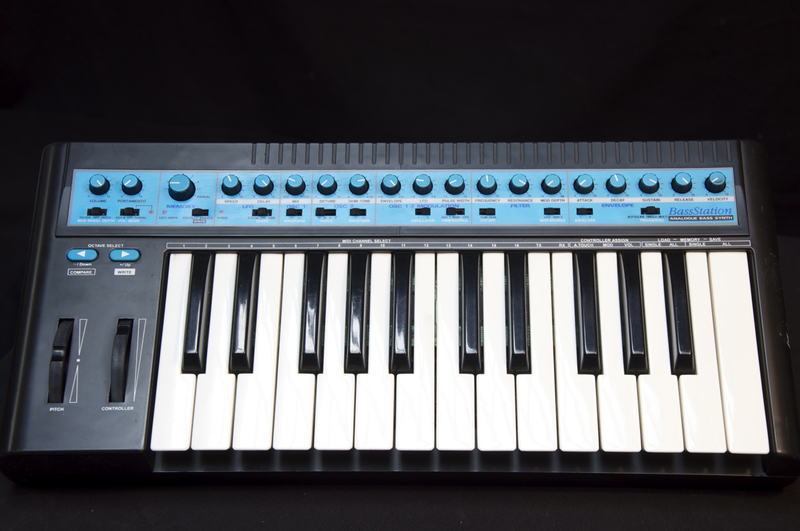 Essentially, you've got a synthesizer that's taken the best parts of its current competitors. The layout of oscillators is the same as the Sub Phatty and Mopho. The distortion and FM filter amount are borrowed from the Mopho and Minibrute (and possibly the Phattys as well). My favorite feature is the switchable filter, because the filter is so much of the sound of the synth. Including two filters (diode-ladder, which is the Acid Filter, and the Classic being derived from the original BS) adds a tremendous boost to the scope of the sounds. Also, who doesn't love the colors of this thing? Unfortunately, we don't have any good sound demos yet, aside from the brief appearance in the 21 year of Novation video (seen below). The original Bass Station's sound is well respected. You can expect this thing to sell very well-- its tonal advantages over the Minibrute, lack of a daunting patch bay a la MS-20, and keyboard and interface improvement over the Mopho Module should hit the right spot of the market-- assuming everyone hasn't already made their only monosynth purchase already. Word is that the Bass Station II should be hitting enthusiasts this June, at a $499 pricetag. For more information, full specs, and a more in depth look at features, check out the official Novation page.